You are invited to attend the special reception for the show! The reception and awards presentation, will be held this Saturday, February 16, at ArtCentre of Plano 7:00 p.m. to 9 p.m. The reception will feature catered hors d’oeuvres, wine and desserts. 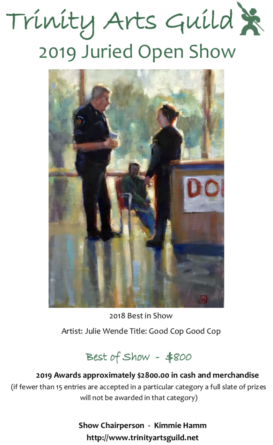 VAGF Fresh Start Show 2019 is a Juried Show of selected artworks by VAGF members. 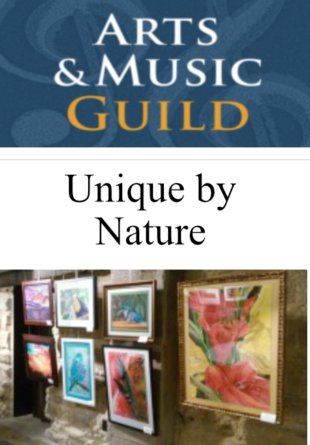 The exhibits are in categories of Painting, Photography, Sculpting, Drawing and Mixed Media. We are also promoting Young Talents in our Shows. Awards will be announced at the reception. Opening Reception and Awards on Saturday, January 26th at 6:30 pm. Artists, architects, and designers have the chance to win 100,000.00 euros! ITSLIQUID Contest is composed of 10 categories: painting, photography, video-art, sculpture and installation, performing art, architecture, product design, fashion design, computer graphic, illustration and drawing. The 2018 Society of Watercolor Artists Juried Membership Exhibition Reception was Sunday, November 4th from 2 – 4pm. at the UNT Health Science Center Atrium Gallery. 3500 Camp Bowie Boulevard, Fort Worth, Texas. The exhibit continues through November 30th. Juror was Bev Boren. Friday, November 16, 2018 | 11:00 a.m.-1:30 p.m.
Each year, Business Council for the Arts formally honors companies and individuals whose contributions and achievements in the arts have made a profound impact in North Texas. Join us for the 2018 SWA Juried Membership Exhibition Reception this Sunday, November 4th from 2 – 4pm. at the UNT Health Science Center Atrium Gallery. 3500 Camp Bowie Boulevard, Fort Worth, Texas. The exhibit continues through November 30th. Jeanette Alexander takesBest of Show! The Show runs from October 6, 2018 though November 3, 2018 at the Richardson Public Library, 3rd Floor Gallery. Awards will be announced at the monthly meeting on Tuesday, October 16, 2018 in the basement meeting room at the library at 6:30pm. Juror for the 2018 RCAS Membership Show is Liz Bonham, NOAPS.